D.L.Narayan, Author at Ghumakkar - Inspiring travel experiences. Lammasingi (लम्मसिंगी) or Lambasingi (लम्बसिंगी) as the tribals call it, is a tiny hamlet nestling on a ridge at an altitude of 2600 above sea level in the Eastern Ghats, a little over a 100 kilometres to the west of Vizag. It was an unknown, remote tribal settlement till a discovery was made which stripped the place of its anonymity and earned it the sobriquet of “Andhra Kashmir”. A few years ago, weathermen found that it was the coldest place in Andhra, with night temperatures occasionally dipping to sub-zero levels. 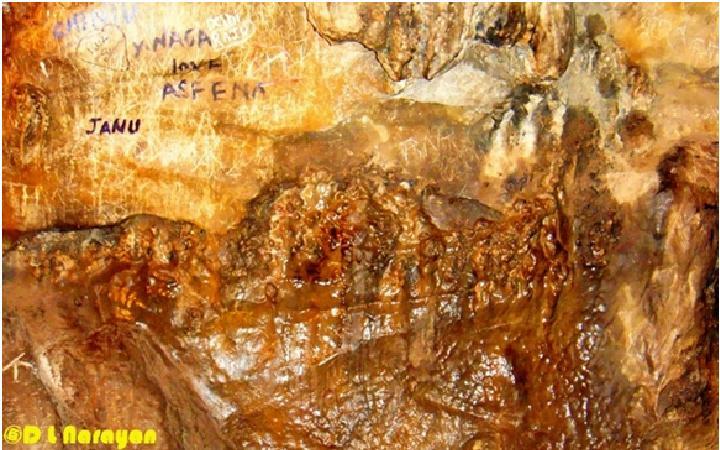 This news was broadcast by TV channels and overnight, it became a popular tourist. What Jawaharlal Nehru had said about India is equally applicable to my hometown, Visakhapatnam, better known as Vizag. It is a young city with a history that goes back to the prehistoric period. In this series, I shall revisit the footprints left on the sands of time in and around Vizag by the early Buddhists. 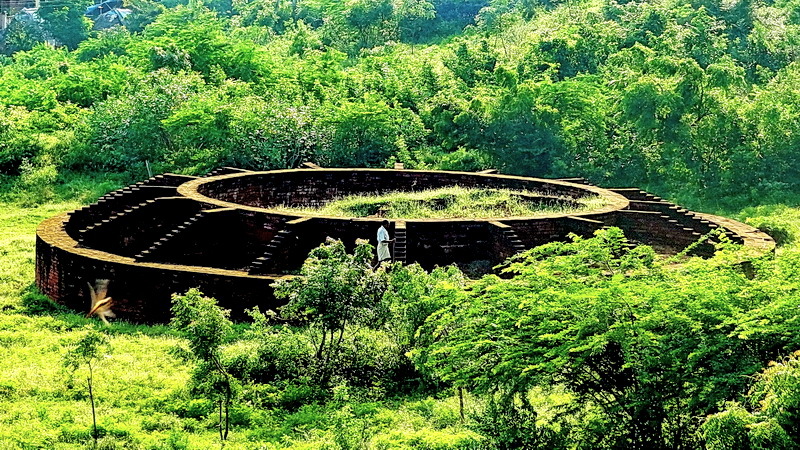 I shall start at Thotlakonda, a 130 metre high hillock overlooking the famed beaches of Vizag. 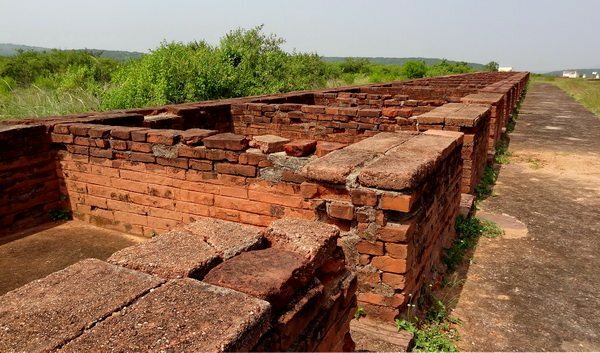 The Buddhist settlement was accidentally discovered in 1988 by Naval personnel were carrying out an aerial survey for setting up some facility. The Bala Balaji temple is a standing testimony to the devotion and perseverance of a humble coconut vendor called Ramaswami. Every year, he used to visit Tirupati and place a share of his annual income at the feet of Lord Venkateswara as his offering. In 1966, the priests there refused to place the offerings at the feet of the idol and understandably, Ramaswamy was upset thinking that the rejection was by the Lord himself. 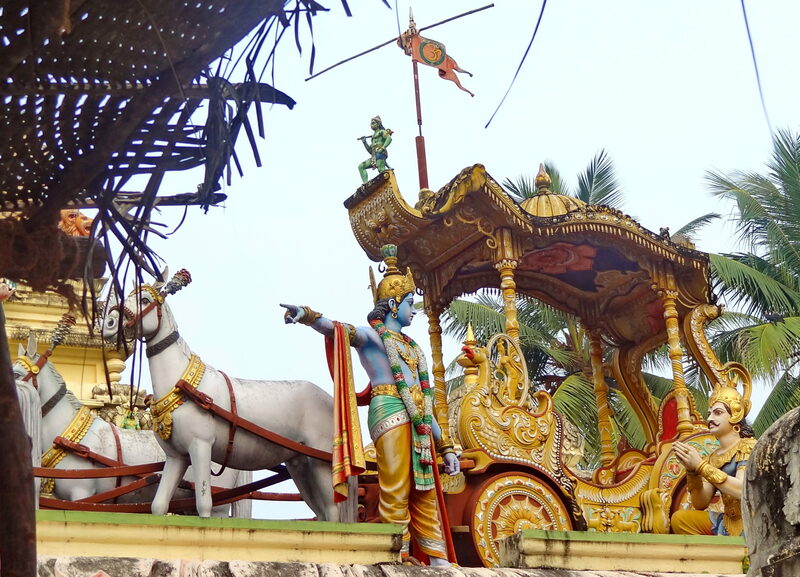 That night, Lord Balaji appeared in Ramaswamy’s dream and told him to build a shrine in his hometown itself. Ramaswamy installed framed photographs of Lord Venkateswara and his consort Padmavati in his shop. He would feed the people who visited his shrine without charging any money. In course of time, the temple attracted hundreds of devotees and Ramaswamy had sufficient funds to build a temple. The construction was completed in 1991 and the idols were installed an consecrated by Chinna Jeeyar Swamiji, a famous Vaishnavite saint. As one drives along the narrow but smooth roads with lush green fields bordered by tall coconut palm trees and water canals, one could be forgiven for thinking that they are in Kerala. Welcome to Konaseema, the Kerala of Andhra Pradesh. 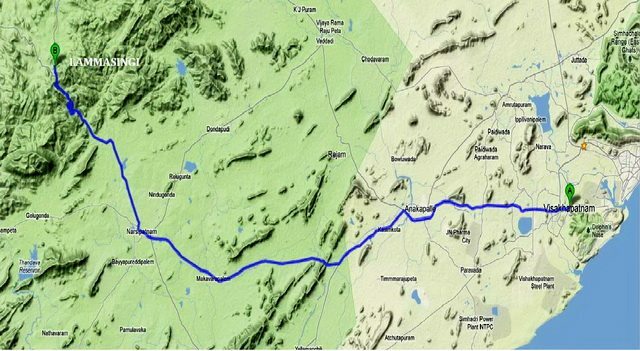 It is the triangular patch of land where the river Godavari, the second holiest river in India, breaks up into many distributaries and merges itself in the Bay of Bengal. 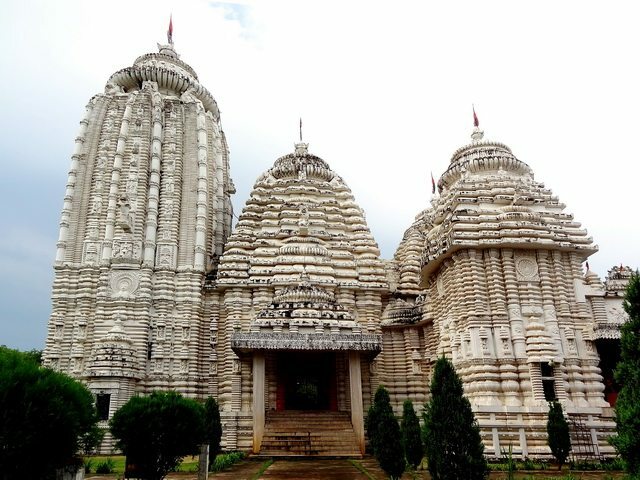 While transiting through southern Odisha on our way to Chhattisgarh last year, my wife expressed a desire to visit the famous Maa Majhighariani Mandir in Rayagada. I told her that it meant a detour of over 200 kms over bad roads and promised to take her there some other time. She wasn’t happy but had no choice in the matter. A few days later, there was a minor collision with a truck which my wife viewed as a divine warning. Recently, I changed my car and my wife was insistent that we go and seek the forgiveness and blessings of the Goddess. While strolling in the sprawling gardens of the Thai Buddhist Temple in Sarnath, I saw what seemed to be a rather amusing sign which read “धर्मचक्र पर चढ़ना बैठना मना है ” (Climbing or sitting on the Dharma Chakra is forbidden) and it made me involuntarily grin. A monk, who was keenly observing me, asked me what was so funny about it. I told him that I could not believe that anyone would climb onto the dharma chakra, let alone sit on it. He told me that he had to get it repaired on several occasions because of vandals climbing onto the chakra, which is why he had this sign posted and instructed the watchmen to keep a close eye on visitors. 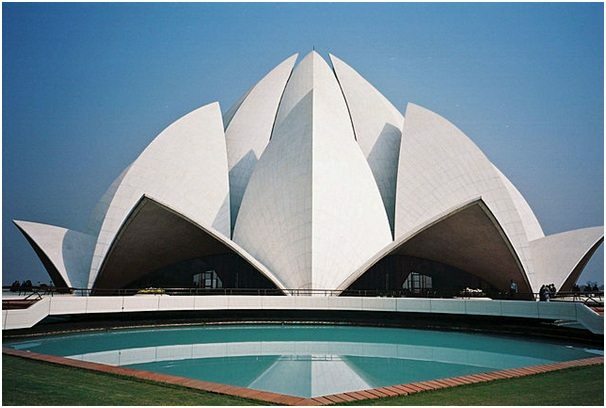 While driving along the airport highway, a massive, magnificent, multi-domed edifice springs up, seemingly out of nowhere from the stark desert environs . 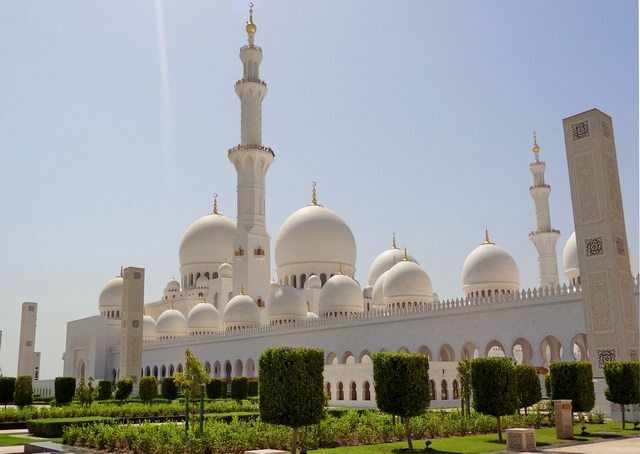 We are on the outskirts of Abu Dhabi, the capital of the United Arab Emirates and gazing in wondrous disbelief at what is arguably the most beautiful building this side of the Arabian Sea, the Sheikh Zayed bin Sultan Al Nahayyan Grand Mosque. It is purportedly the third largest mosque in the world, after the great mosques at Makkah and Madina. Permit me to narrate an anecdote about a fictitious schoolgirl called Maya. Her class is given an assignment to write an essay titled “My most memorable trip”. She had just returned from a visit to the famous Vaishno Devi shrine and decided to write about it. However, when she started writing, she did not know what to write about other than it was an enjoyable visit and the atmosphere in the temple was very spiritual. Maya decided to use the internet to get more facts about the place. She used bits and pieces from everywhere, stitches together an essay and proudly submits her essay to her teacher. Araku is a picturesque tribal settlement in the Eastern Ghats, about 120 km to the north of the port city of Visakhapatnam a.k.a. Vizag, which also happens to be my hometown. 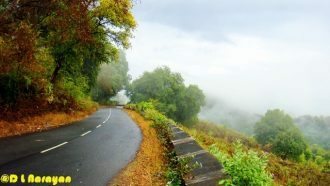 For me, the drive is an end in itself, a mind-blowing experience as one navigates through umpteen hair-pin bends on a steep mountain road which snakes its way up the Eastern Ghats to an altitude of some 1200 metres above sea level. This is one of those road trips on which one does not feel like driving fast but prefer to gently cruise along the serpentine path, inhaling the pristine air and feasting on the visual candy being proffered so generously by Mother Nature. Alexandria was home to Egypt’s second wonder of the Ancient World: the famous Lighthouse built by the Ptolemies in the 3rd Century AD. 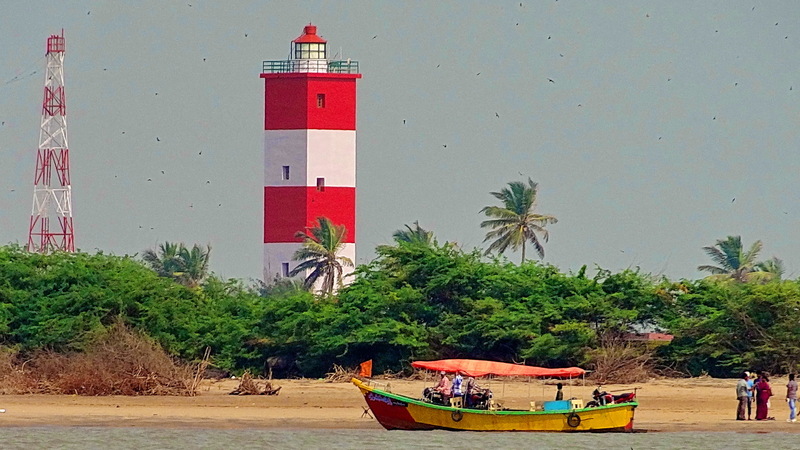 Soaring to a height of 140 metres, its beacon was visible to seamen over 50 km away. It was one of the tallest man-made structures in the world for centuries till a powerful earthquake destroyed it in the 14th century.